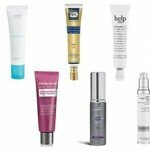 Ranking and Reviews Of The Best Retinol Creams! Called the #1 anti-aging ingredient by dermatologists, this vitamin derivative has long established itself as a proven “miracle worker” for smoother, better-looking skin. In fact, wrinkle creams with this ingredient have shown in numerous clinical studies to reduce fine lines and wrinkles, even out skin tone, shrink pores and rebuild collagen. Not bad for an ingredient that’s been around for 40 years! If you use the right retinol wrinkle cream, you can combat the signs of aging and improve your skin better than just about any other product you can buy without a prescription. But just as the popularity of it has grown over the years, so has the number of wrinkle creams, serums and lotions that contain it. You can find tons of different retinol creams on the internet, in doctor offices, at cosmetics counters in department stores and even at your local drugstore! How can you possibly know which one is best for your particular skin? Because we’re obsessed with anti-aging skincare, we’ve taken the time to rank and review all of the most popular retinol wrinkle creams on the market. And unlike most beauty “review” sites, we actually go out and buy the product we’re reviewing, thoroughly try it out and then report the results right here on our site! You’ll quickly know which products work, how much they cost, who should be using them and what exactly’s in them. 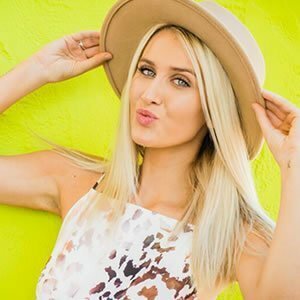 Bottom line– we’ll tell you everything you need to know to find the perfect wrinkle cream for your unique skin! So click here to see our list of the best retinol creams, or keep reading to learn more about what it can do for your skin. What Is Retinol And What Can It Do For My Skin? Retinol, available in many forms, is a topically-applied derivative of vitamin A. So, it’s simply an ingredient found in many wrinkle creams, it’s not a “brand” or anything like that. We’re not going to get too technical here, but your skin takes retinol and turns it into retinoic acid, which is responsible for the many great things it does for your skin. The stronger, prescription version is called retinoid and was approved by the FDA back in 1971 as an acne treatment. After awhile of using it for acne, dermatologists started noticing that their patients not only cleared up their acne, but also had brighter, softer, smoother skin with less wrinkles. So a whole new use for retinoids was born; as an anti aging super ingredient! And while you can still get prescription retinoids today, most people now prefer the milder, better-tolerated version that scientists developed called retinol (which is available without a prescription). So now that you know a little bit about retinol, you’re probably wondering why it’s so great and why everyone loves it so much? Decades of clinical studies have shown that retinol does more for skin than just about any other skincare ingredient on the planet. First and foremost, it promotes healthy cell turnover, which is super important for beautiful skin. This is what makes skin look younger, smoother and tighter. Next, it fades pigmentation and reverses signs of sun damage… so age spots, discoloration or blotchiness is evened out. Further, retinol also shrinks your pores, which is why it works so great on acne. And finally, it stimulates the growth of collagen and bolsters skin thickness, which is critical to keeping wrinkles at bay. With that long and impressive list of proven benefits, is it any wonder why so many celebrities, models and everyday people swear by it? Click here to learn more about the differences between wrinkle cream ingredients like retinol, tretinoin, glycolic acid and kojic acid. Who Should Use Retinol and At What Age? Now that you have a better idea of all the great things retinol can do for your skin, you’re probably wondering who this stuff is for? Believe it or not, that’s actually a pretty easy answer. If you’re in your 20s and have any fine lines or wrinkles (or have exposed your skin to a lot of sunlight or tanning beds) then you’d be wise to start using a retinol cream. There are really no downsides to its use– and the earlier you start protecting and renewing your skin the better! For all others, most dermatologists recommend adding retinol to your anti-aging regimen once you turn 30. There’s quite of bit of evidence that the early use of retinol creams can help delay the onset of fine lines. In fact, Chicago dermatologist Dr. Carolyn Jacob summed it up nicely by saying, “I recommend retinol to everyone. It’s never too early to start using a retinol product”. So now that we’ve covered who should use this wonder ingredient, the next question is how long should you use it? Studies have shown that you can use a retinol cream for one year or longer and still get substantial benefit. In fact, Johnson and Johnson recently did a study that confirmed this. The researchers concluded that even after a year, retinol keeps on working and improves the signs of aging. So what do you do after a year or two of use? Well, many dermatologists suggest using a cream with a higher concentration than what you were using before. So, if you were using a wrinkle cream with 0.5% retinol, after a year or two you may want to use one that has a 0.75% or 1.0% concentration. 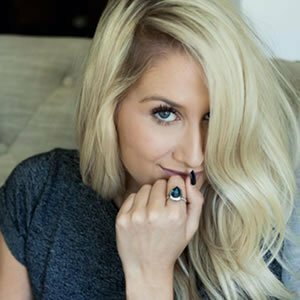 You can see continued improvement in your skin with this approach. Now, before moving on to the next section, we wanted to quickly go over who may not want to use retinol. Those with ultra-sensitive skin may want to start their retinol use very slowly, perhaps using a product with a low concentration and applying just once a week. Also, women who are pregnant or breastfeeding may not want to use retinol. In either of those cases, be sure to speak to your doctor or healthcare professional. Do I Need A Prescription To Use A Wrinkle Cream That Has Retinol? However, as we discussed earlier, there is a stronger version of retinol called retinoid. And those do require a prescription (they go by names like Retin retin-A, Tazorac, and Differin). So what’s the difference between these ingredients? Prescription retinoids are very concentrated and very strong retinoic acid. And because their molecules are so small and can penetrate all layers of the skin, they can cause a lot of redness and irritation. In fact, many people cannot tolerate them at all! On the other hand, retinol found in wrinkle creams must first be converted to retinoic acid once it’s applied to your skin. So it isn’t active until it starts to interact with your skin. Basically your cells can “hang onto” retinol until they need it (at which point they convert it into retinoic acid). Over the counter creams have dramatically lower negative effects like peeling, sun sensitivity and redness. Yet, these creams give you the same beneficial effects as prescription retinoids, (it just takes a bit longer to see the results). Another benefit of retinol creams versus prescription retinoids is newer technologies like microencapsulation allow manufacturers to add other ingredients to boost the effects of the retinol. So that summarizes the trade-off between using prescription versus over-the-counter retinol. Prescription works faster but can have substantial side effects. Non-prescription works slower but has no to minimal negative effects. In our opinion (and those of most dermatologists), both forms work equally well at improving the skin! 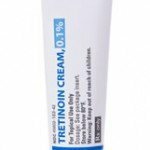 For more on prescription retinol, take a look at our article, “What Is Retin-A and Are There Any Non-Prescription Alternatives“. Is It Ok To Use Retinol Around and Under My Eyes? As long as you don’t get it directly in your eye (duh), then yes. In fact, studies show that people who apply retinol right up to the eyes tend to get the best results. And if you think about it, that’s usually where many people need it most (because the skin is so thin there). Crow’s feet and wrinkling under the eyes are both very common on just about everyone on the planet. First, you could just apply your nighttime wrinkle cream right up to your eyes along with everywhere else on your face. Or second, you could use a special eye cream that contains retinol as one of the ingredients. We’ve seen it work wonders both ways! We can say with confidence that it’s absolutely safe! You just have to make sure you use it correctly (at night) and don’t overdo it, especially if you go the prescription route. Retinol’s been around in both prescription form and available over-the-counter for over 40 years. It’s been used by literally millions of people in one form or another over that time. And unlike most anti-aging ingredients, retinol has been extensively studied in clinical trials for both efficacy and safety. So there’s not much to worry about here. Most of the safety concerns are based on the prescription form, which can be irritating and cause redness, peeling and sensitivity. The good news is, for those who experience any of that, skin usually adapts to retinoic acid within 2-3 weeks. For those who use over-the-counter wrinkle creams with retinol, these side effects are mostly a thing of the past. Especially if you begin their use gradually as we recommend in our how to use retinol tutorial. What Do Celebrity Skincare Gurus and Dermatologists Have To Say? You can probably tell by now how great we think retinol is as an “all-purpose” anti-aging ingredient. When it comes to speeding up cell turnover, reducing wrinkles, shrinking pores, reversing sun damage and fading pigmentation, you can’t do much better than retinol! When one doctor or person says something great about an ant-aging ingredient, it may or may not mean something. But when virtually every dermatologist, esthetician and skincare expert in the world says it, it’s time to take notice! So What Are The Best Retinol Creams of 2019? This is the part you’ve been waiting for and why you probably came to this site! But now I’m sure you’re wondering which retinol products work best? Since every “skin” cream has different concentrations, ingredients and delivery systems there can be a lot of variation in their effectiveness. We’ve got you covered with our constantly updated ranking and reviews of just about every retinol product out there. Once we buy one, we’ll thoroughly check it out and let you know how well it worked, what it felt like, and if there was any smell. We’ll analyze the ingredients, see how long it takes to get results and report any side effects. Then we’ll look at where you can buy it, how much it costs and if it’s worth the money. Once we’ve completed our review, we’ll post a video and a blog post right here on this blog. And of course, we’ll update our ranking of the 10 best wrinkle creams on a regular basis. We do all the work (and spend a bunch of money) so you don’t have to! 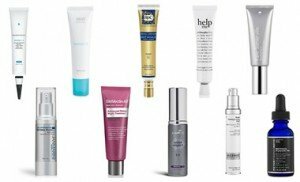 So take a look at our ranking of the best retinol creams and get ready for beautiful, younger-looking skin!